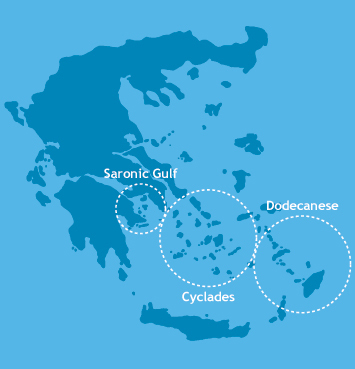 From our Athens base, there is access to the islands of the Saronic, the Argolic Gulf and the Western Cyclades. Our sailing holidays also cover the rest of the island groups: Ionian islands, Central Cyclades, North Aegean and the Dodecanese islands. You can have a sailing cruise at a very affordable cost depending on the time and what islands you want to visit.